Starting out with calisthenics training can be daunting at first. Many beginners tend to have the impression that it only involves one’s body and no equipment at all. This may not necessarily be the case though. Luckily there is a range of different equipment which you can use for getting more out of your exercises. In this article we will be looking into the training equipment you will probably need when starting out with calisthenics training, how to use them and which exercises they are good for. A pull-up bar is an essential piece of calisthenics equipment for doing pull-ups. 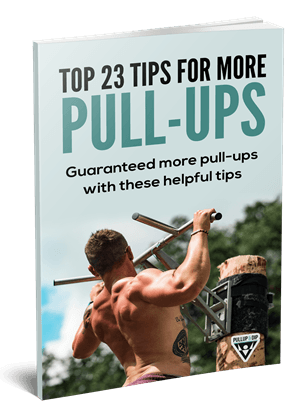 As we have covered in a recent article, doing pull-ups can be a great way for building strength in a number of muscles such as your lats, pecs and biceps. 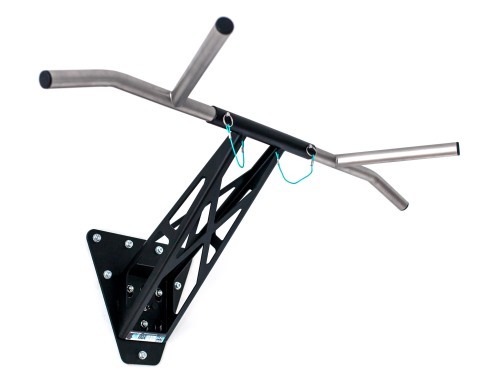 One of the important features of a pull-up bar is its overall stability. Since you will be using your whole bodyweight, it is important to have stable bar that will hold you in position without failing you midway of a pull-up. Otherwise you would be prone to injuries from falling down unexpectedly, which can be quite nasty and annoying. If you are looking for a reliable pull-up bar, you can always try using one of our pull-up bars which is flexible and adaptable to a range of situations. Check out all our pull-up bars! Gymnastic rings are also commonly used when doing Calisthenics. 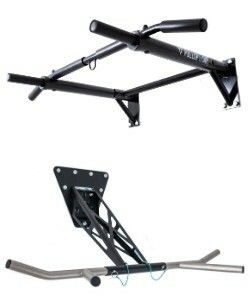 These tend to be used when doing bodyweight row exercises for example. Gymnastic rings of good quality are needed for performing such exercises as safety is key. When getting gymnastic rings, make sure that the rings are of high quality (e.g. wood), and that the straps are adjustable and of good material in order to be secure while using them. Gymnastic rings are great calisthenics equipment to get you started but requires great strength and balance to carry out various exercises properly. Thus, make sure you are ready to use them when starting out and to improve yourself first if you are not sure. For effective exercises with gymnastic rings check out our article Gymnastic rings - 10 very effective exercises. Check out our gym rings! There are myriad of uses for resistance bands. They are mainly used for building up strength through simple exercises that push the body to new limits. The resistance band or also called pull-up band is a very basic piece of calisthenics equipment which is highly recommended when starting out with calisthenics exercises. When using these bands make sure that you have a proper grip and that your footing is stable. Some of the calisthenics exercises you can try out in the beginning include: front squat, lat pull-down, push-ups, overhead press and forward raise. These are perfect exercises to try out with resistance bands as they are very simple, and tend to be fun whilst causing less strain on your joints and wrists. 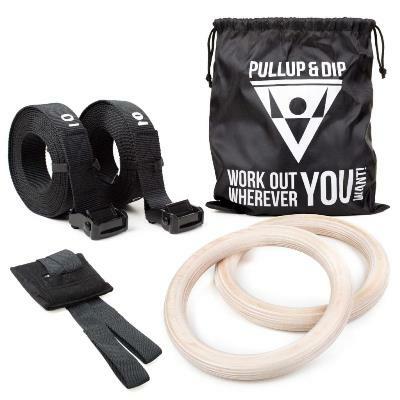 Check out our pull-up bands! The classic workout mat could not be forgotten when discussing various calisthenics equipment. This is a must-have for anyone who is serious about starting with calisthenics training. It is especially useful for exercises that require you to sit or lay down. 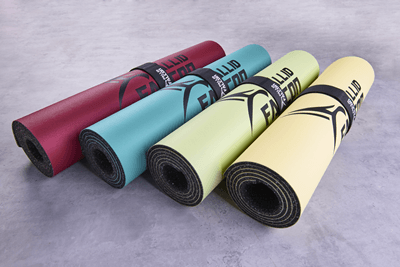 Workout mats come in a range of sizes and colours and are relatively easy to store away (in the case of rolling mats). Note that these mats come in different degrees of thickness. Generally speaking, the thicker the mat the safer (e.g. if you happen to fall down). Weighted equipment such as a vest and dip belt are excellent pieces of equipment for doing calisthenics exercises. Weighted vests are regular vests which you can wear that add an additional degree of difficulty to the exercises you are doing such as weighted pull-ups. For example if you are doing pull-ups on a bar, it will make it more challenging for the user due to the added weight of the vest. The same applies for a dip belt. You can choose how much weight you start out with and take it from there on a pull-up and dip bar. Weighted equipment tends to be used when looking for a bigger challenge. However, if regular pull-ups are not enough, then you can always go ahead and make things more interesting with a weighted vest or dip belt. Paralettes are another set of calisthenics equipment that you can choose to use when starting out with your exercises. They are often used for doing dips, push-ups, L-sits and V-sits for example. One of the important aspects of using parallettes is your hand grip. Always make sure that your wrists are straight when doing exercises and not bent. Using parallettes also requires good balance when doing several exercises. Paralettes are relatively easy to use, but if you have never used this equipment before, know it may take some getting used to but it is not difficult at all. If anything, it can be of great assistance for doing calisthenics workouts. 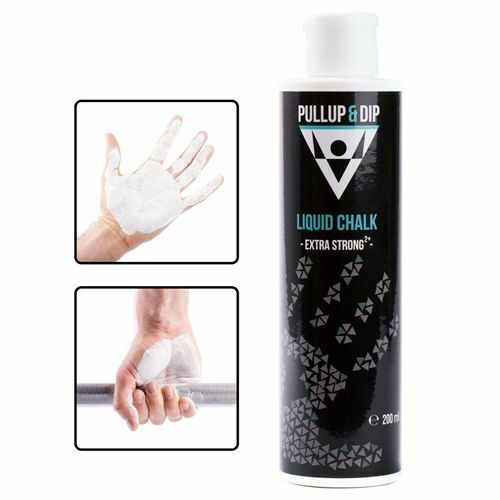 Liquid chalk is generally used for improving your grip when doing various exercises. Think of doing pull-ups for example. Having a solid grip of the bar plays a big role in being able to perform the exercise. This is where the chalk is useful as it makes your hands less likely to be slippery. In general you should apply the chalk only to areas that will be touching the bar. The idea is to drag a block of chalk lightly on your fingers and across your palm. There’s no need to cover your palms fully or to break the chalk block to use it for example. If you are intending to be gripping and grabbing things as lot then it may be good to consider getting some chalk. Get our liquid chalk here! 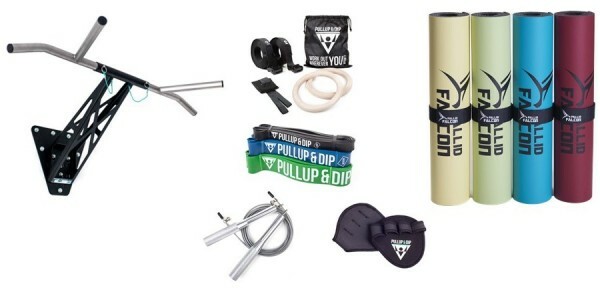 Push-up bars provide an additional training effect as they increase the range of motion. They allow you to go deeper in the downward movement of push-ups, which in particular stretches and trains the chest muscles more. Push-ups are a very effective exercise, and in addition to the chest, they also train the triceps, shoulders, abdomen, and buttocks. In addition to strengthening your muscles, you also use push-ups to train your sense of balance, ability to coordinate, and flexibility. 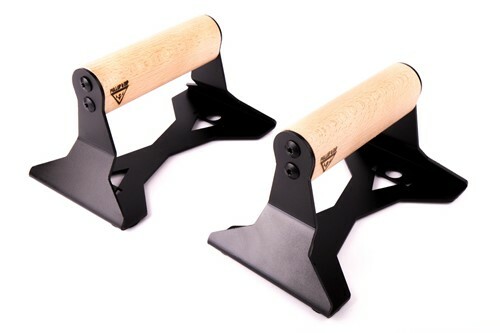 Besides push-ups, you can of course also use the handles optimally for handstand training as a handstand bar. Get our push-up bars here! 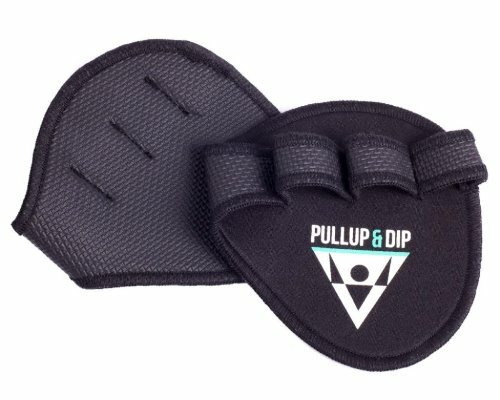 Grip pads and gloves can be very useful to have when doing calisthenics as it will help you perform various exercises. Calisthenics can sometimes be rough on your hands and wrists. Thus, wearing proper pads or gloves can be of added-value with regards to mitigating the risk of injuries and improving your overall hand-grip. 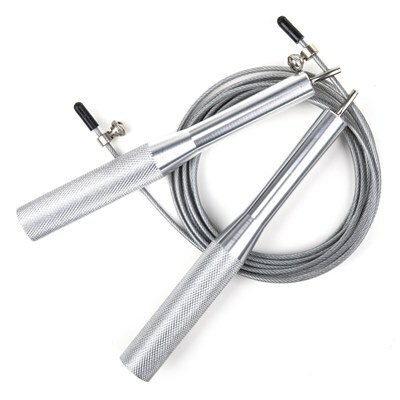 A jumping rope is one of the best calisthenics equipment you can get when starting out. Most people have used one before, but if you have not then there some simple tips that you can keep in mind. First, make sure that you have some proper footwear when using jumping ropes. Anything that can help you move around with ease should qualify. Second, train in an area where you can move around safely, which is spacious enough without many things lying around. This is to avoid breaking things or getting injured unintentionally. Get a jumping rope here! Making use of the equipment we have covered in this article can be a great way of getting started with your calisthenics exercises. In general, it is always important to use any equipment safely and to make sure that it is used properly. Things to take into consideration can include your hand grip, material/quality, the space or area where you exercise and the way the equipment is used. In closing, calisthenics equipment can certainly be a great boost to your training exercises and it is therefore recommended to incorporate them when starting out with calisthenics training. Do you also want to do more pull-ups? 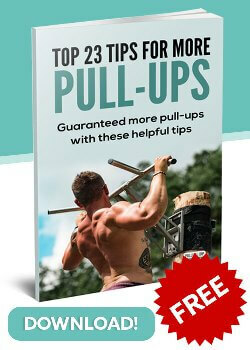 Then we recommend you our FREE eBook with the top 23 tips for more pull-ups. I ordered the push up bars from you. They are really great! 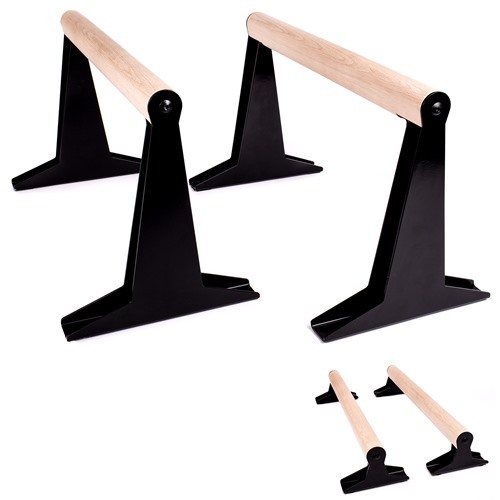 A perfect equipment for training calisthenics. I can only recommend them. Next I will get the pull up bar from you. The quality is great!